When it comes to choosing lumber for your crate, the choice isn’t hard—and your wood shouldn’t be, either. Softwood is the dominant type of wood used in crating, and for good reason. 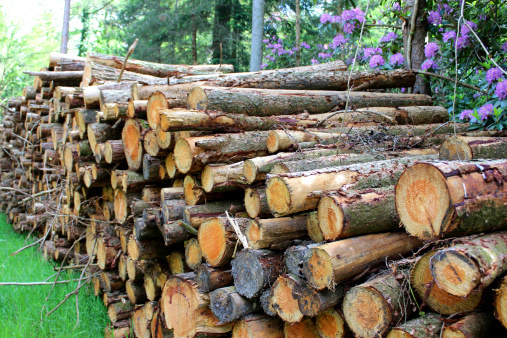 Softwood is usually dried, or “seasoned,” through a kiln, while hardwood is typically used as green wood, meaning it’s high in moisture content. Green lumber still retains the moisture absorbed by the tree, leaving the wood rife with dampness. This is fine for certain pallets, but for crates, moisture can cause serious problems. In the summertime, mold is a serious concern – if you’re sealing up a crate with wet wood, the heat can encourage mold growth and potentially ruin your package. Green wood is also hard to nail together. It splits easily and is less durable. When people hear “softwood,” they often interpret the name literally and worry about its durability, but this is a fallacy. Softwood pine is strong, and is especially suitable for crating, where most of the wood is used for the sides and top of the crate, rather than the pallet base. The fact is that when constructing a crate, your lumber often doesn’t need to be the strongest on the market – sides aren’t load bearing. Sometimes, if necessary, the bottom will be made of a thicker density wood like a 2×6, while the sides are made using 1×6 boards for battens. The most common type of wood used for building crates is kiln-dried Southern Yellow Pine, with Canadian groups of spruce-pine-fir a close runner-up. The prices between these two are comparable, with market fluctuations determining both. While the price isn’t always consistent, the type of lumber is: softwood is simply more convenient, easier to use, and safer for your product than so-called “hardwood” alternatives.